Based on the old American Gladiators game. 2 Counselors stand in the front with the throwing balls. 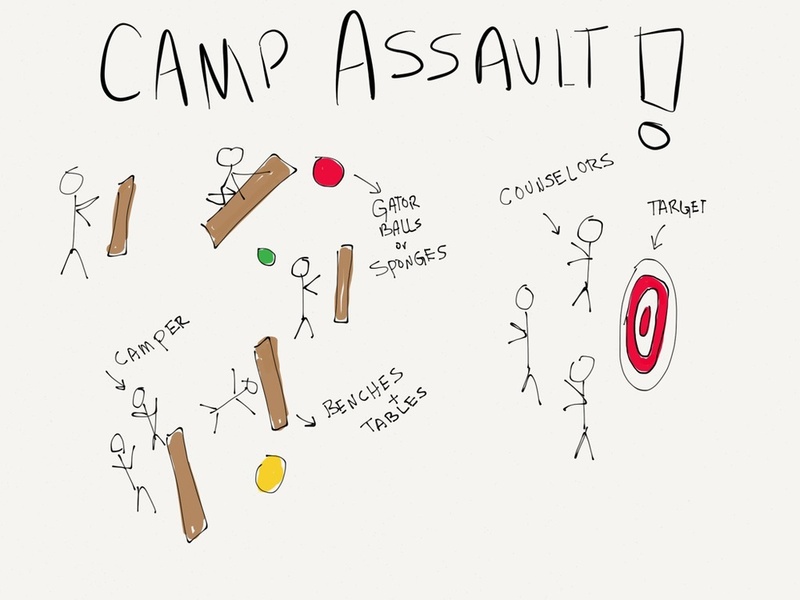 The campers objective is to hit a target or knock over a pin with a ball. They enter the arena a couple at a time and the counselors begin throwing balls at them. They can hide behind barriers and move between them at will. They also can pick up any balls on the ground. If campers are hit with a ball they are out. If counselors are hit with a ball they must freeze for 10 seconds.